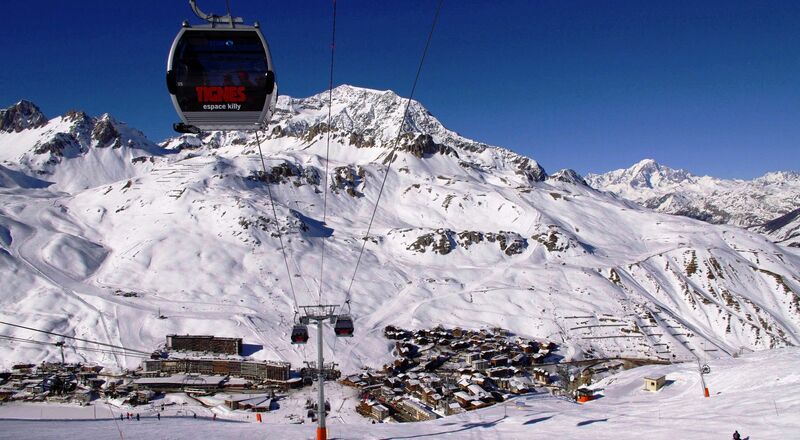 LES CIMES the residence is located in TIGNES LE LAC (2100m), « La Poste » street near by all shops and close to the slopes, 50m far from the Lagon water park, 100 m far from Sports and Conference Centre Tignespace. 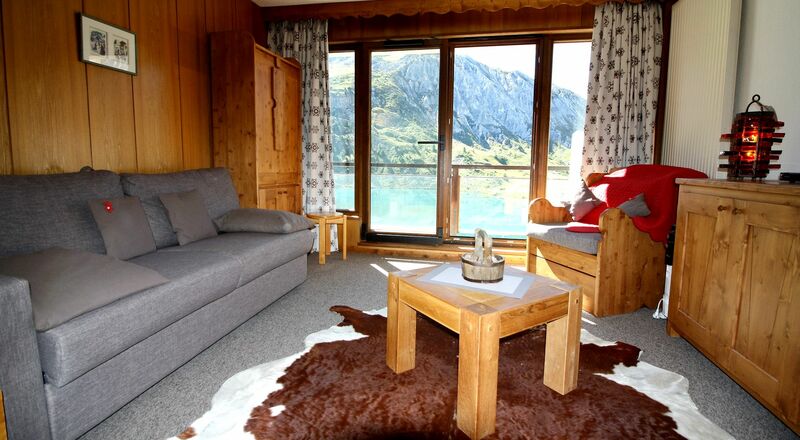 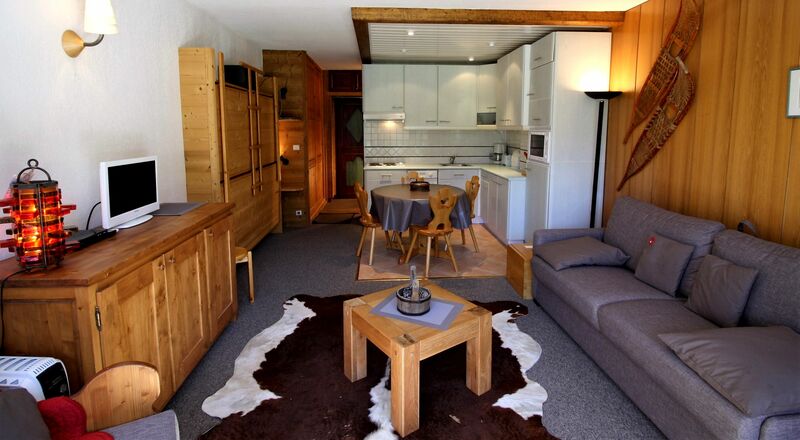 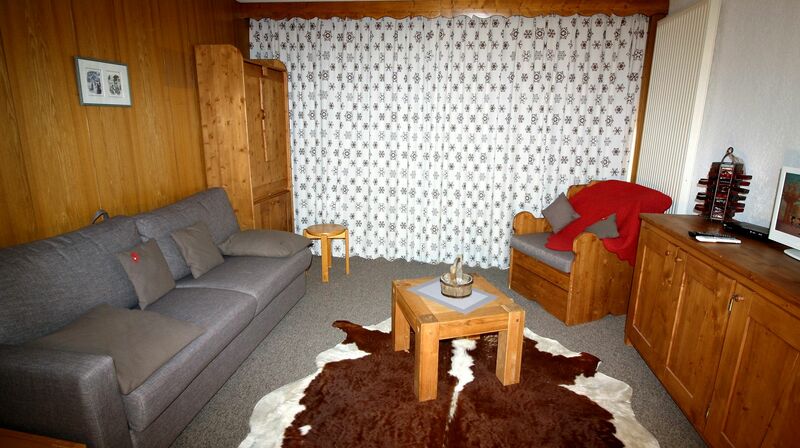 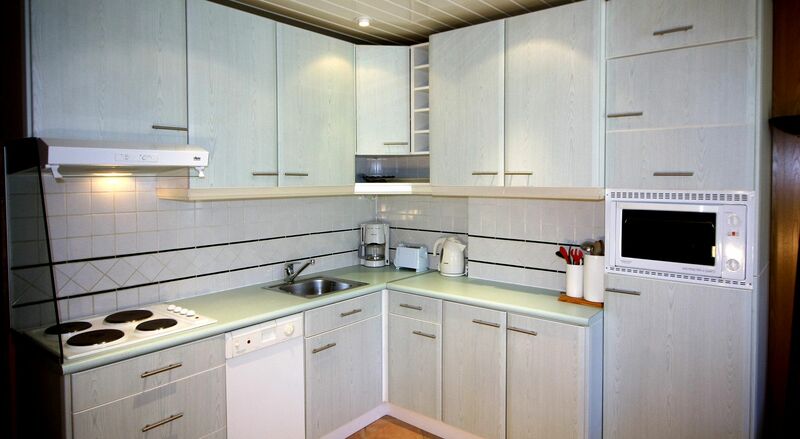 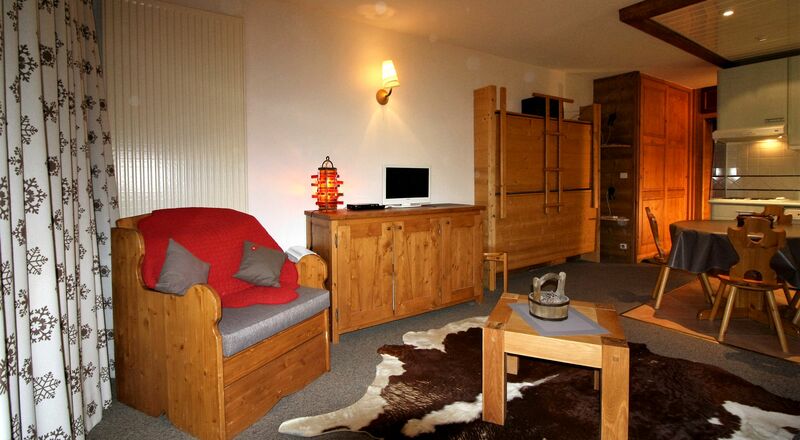 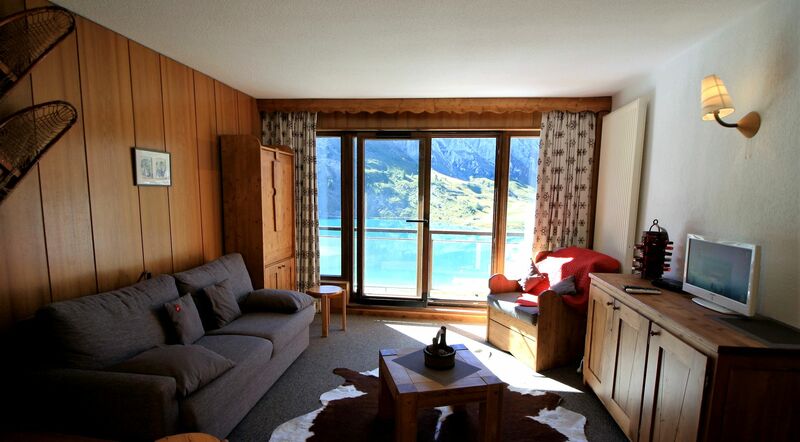 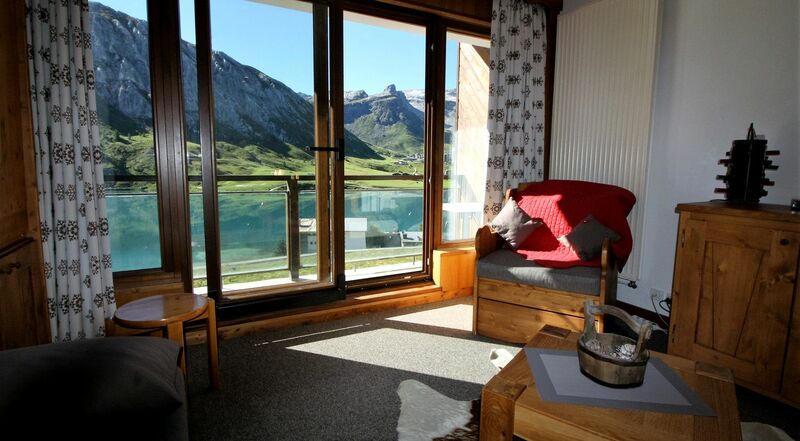 You will enjoy the view over the lake and Glacier of Grande Motte. 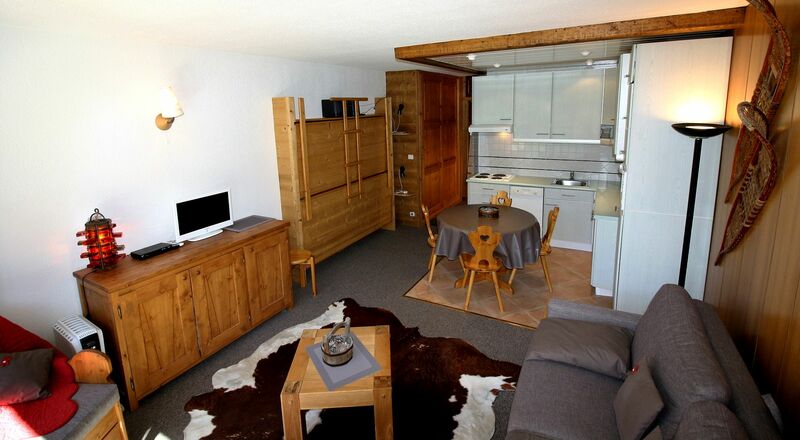 CIMES N°23 - Studio 4 persons - 33m². 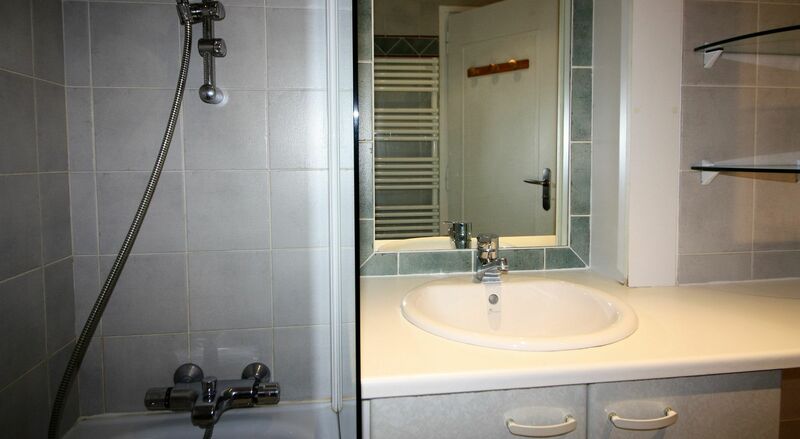 1 Bathroom with a bath, sink and WC.